I will buy more because I really like these. Love these slippers. They are a little large but socks make up the difference. They are so soft and bottoms are sturdy. I will buy more because these are the best ones yet! These slippers are so comfortable I feel like I'm on clouds. Excellent product. Comfortable and so very soft. Thanks so much. Love my new warm slippers. These are the first things I head for when I wake up. They are so warm and comfortable, and don't "sag" on my feet. Used to walk inside the house. Comfortable and warm. Only cons are thin soles and rapid wear off. They are so soft and I used them to cradle my feet for comfort while lounging in my home drinking hot chocolate and reading my favorite book. I had a pair before, but I made the mistake of putting them in the clothes washer. They have to be washed by hand and air dried. But this is so seldom that it is no problem. I bought a pair for my Mom and one for myself. We love them!! Love my new slippers, they are soft and warm. My mother wanted warm houseshoes, but I had a hard time finding them in local stores. Walter Drake had exactly what I needed. These slippers are very soft and comfortable on my problem feet. I am impressed by the thickness of the footbeds (very comfy) and the warmth and softness of the slipper. I plan to buy more! We buy these every year - so many colors to chose from. So year after year our feet are happy. Very comfortable. The product was bought for my Mother who absolutely loves them. This is the 3rd pair I've bought for her and she wears them until worn out. I will buy again once she is in need. These are so comfortable. I have a big food so the XL is just perfect for me. I even purchased two pair. I love these so much that I bought 2 pairs. Beautiful, warm and very blue. Easy to use with the winter blanket in the easy chair. Keeps my ankles a lot warmer. Nice style and great comfort! In spa like setting for a women's group. Slippers are very warm and cozy. I'm really impressed with the quality and are just as described. I recommend them definitely! Not much to say about slippers! 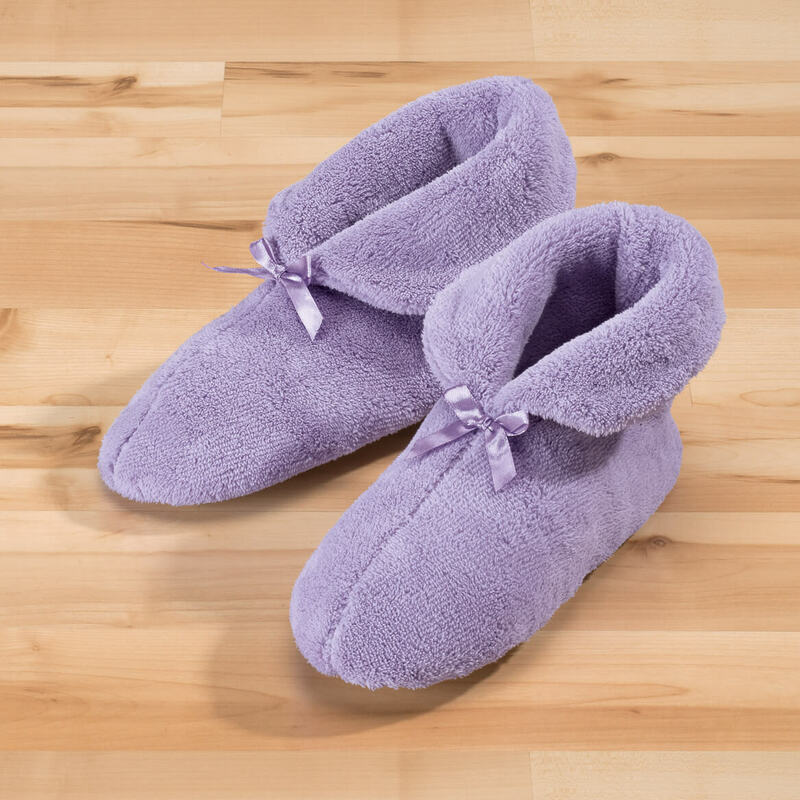 purchased as a Christmas gift to go with a robe which was also purchased from miles Kimball, these slippers are comfortable and warm which is exactly what they were purchased for. the recipient is thrilled with them. THESE SLIPPERS ARE PERFECT FOR INDOOR USE. THEY ARE WARM AND GREAT FOR LOUNGING. 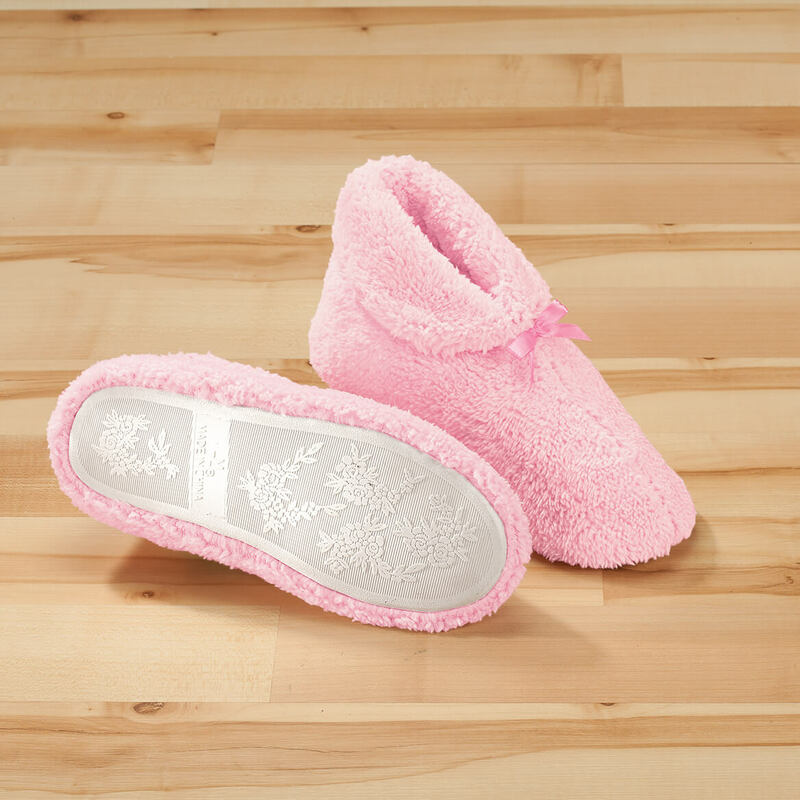 I used to find this type of slipper in the retail stores for years. But in the past couple, they don't carry them anymore. I've searched online and the only slippers I could find cost upwards of $30. These are a bargin! I am very hard on my slippers, running outdoors occasionaly without stopping to put on shoes. This is why I like this type of slipper, it has a vinyl base which allows me to dash to the mailbox or car. These slippers are very comfortable and warm. I've ordered another pair to put away for the future, just in case I can't find them again. They were perfect fit for my mom. i gave this as a gift to an elderly neighbor. she thinks they are better than the ones she has .she is quite pleased with them ,i would order them again . I bought a pair for my friend, and all she can say is warm, warm and cozy. She said she wears them all the time. She wears size 7-8 but I bought the large. She said they fit her perfectly. I bought a pair of large, and I wear a 10. The slipper just barely fit, so they do run short. I like the color and the feel. Nice. Thanks. I love my new slippers. 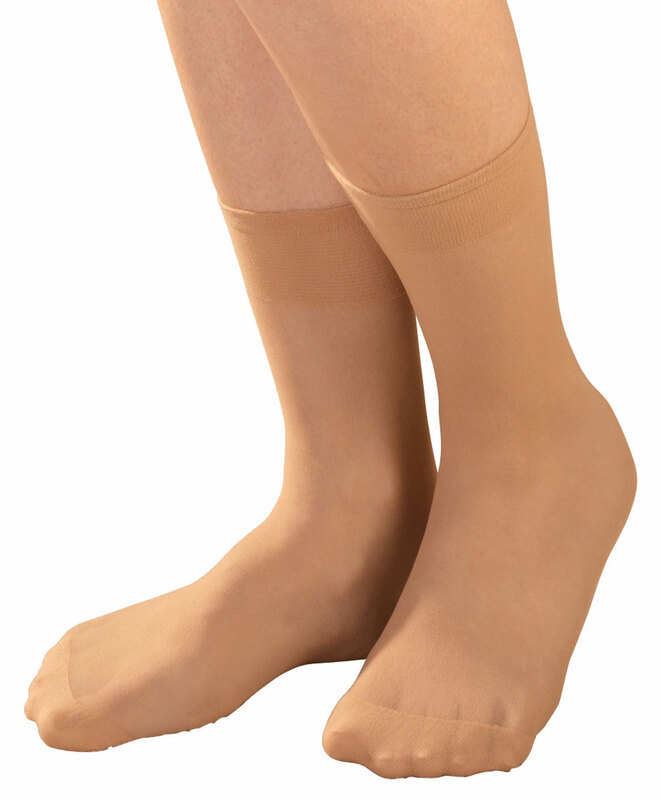 I ordered 3 pair 1 in each color and I'm glad I did before they are discontinued. 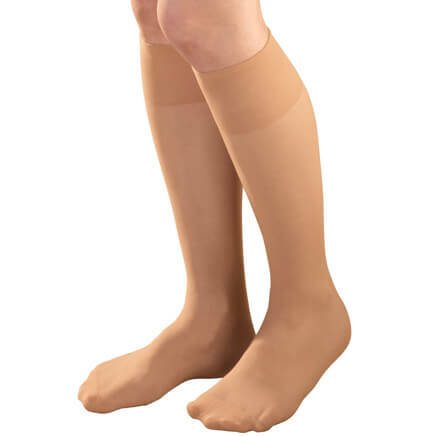 these are great ---have multiple pairs---were so enjoyable that husband even wanted some !! warm and comfortable enough to sleep in. great product. These slippers are nice and cozy without alot of weight. They were just what I have been searching for.I am buying a 2nd pair. Great to finally have slippers without the heavy, thick soles. So comfortable & warm, love them. These slippers are warm and comfy. The slippers are what I expected and will be great in morning and night. I will definitely be buying these again! These slippers are great! I have 2 pair of pink and 2 pair of blue. I definitely have to get 2 pair of purple! Very comfortable. I receive a lot of compliments and am asked where they could get some. I wish they came in white. These slippers have been perfect for my Dear Mom. 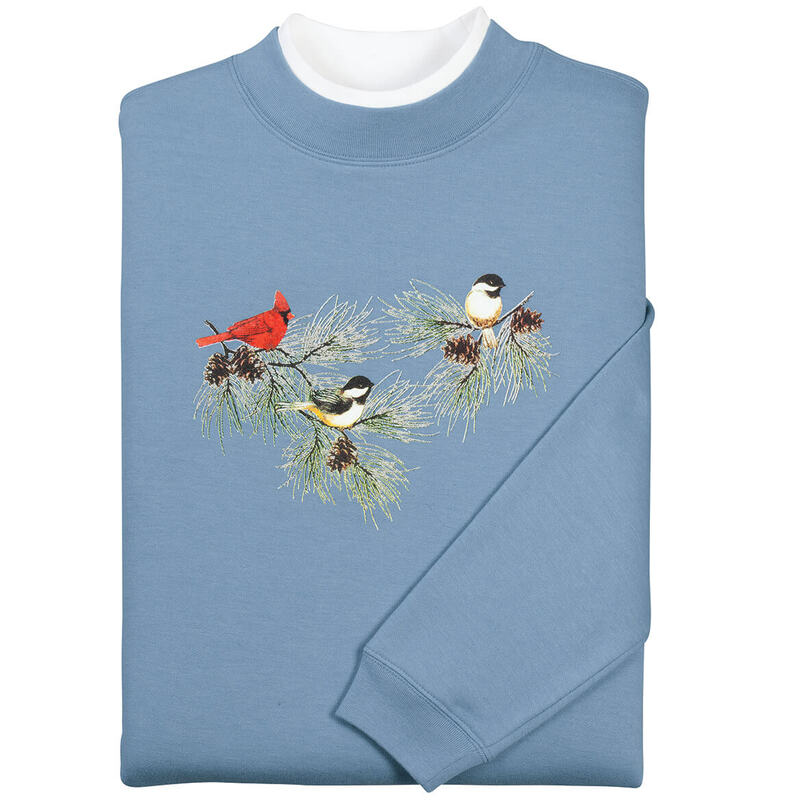 Perfect for my Dear Mom to wear all day long, all seasons. I like colors to match OR that will blend in what I am wearing. Due to health problems I wear night gowns and house coats and house shoes all day long. SOME days I do put dress cloths on when I have to go see the doctors or go shopping BUT on my worse days not feeling good I will wear them to the ER or the doctor office. Value good when buying two pairs--wear one while the other is in the laundry! These slippers are soft, warm, and comfortable. They are beautiful. I love the Lavender color. I have all the colors and they are soooo comfortable. They are very warm, almost too much so. I have always bought Dearfoam, but like these much better. And the price is considerably less too. I wear these slippers usually while watchingTV in the evening. They keep my feet warm especially in the Winter months. I have been looking for this type of house slipper for sometime now. I wanted one that I could wear, that would keep my ankles warm. I really like them. Slippers are fine, a good price,there washable,last good. Is there anything better than a pair of soft and cozy slippers on a cold day? 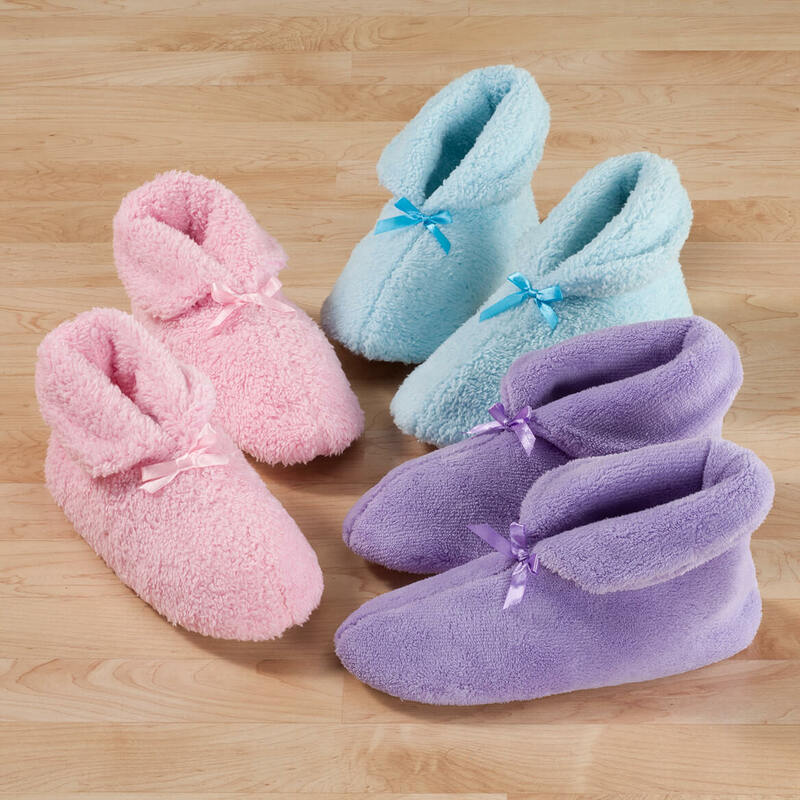 These slippers are warm, cozy, SUPER soft and comfortable. The sole is fine, not suitable for outdoors but they are slippers so I don't wear them outdoors anyway. They are perfect for indoor wear. The only con that I have found is that they do run a bit large. I purchased size medium but I would have been fine with a small. 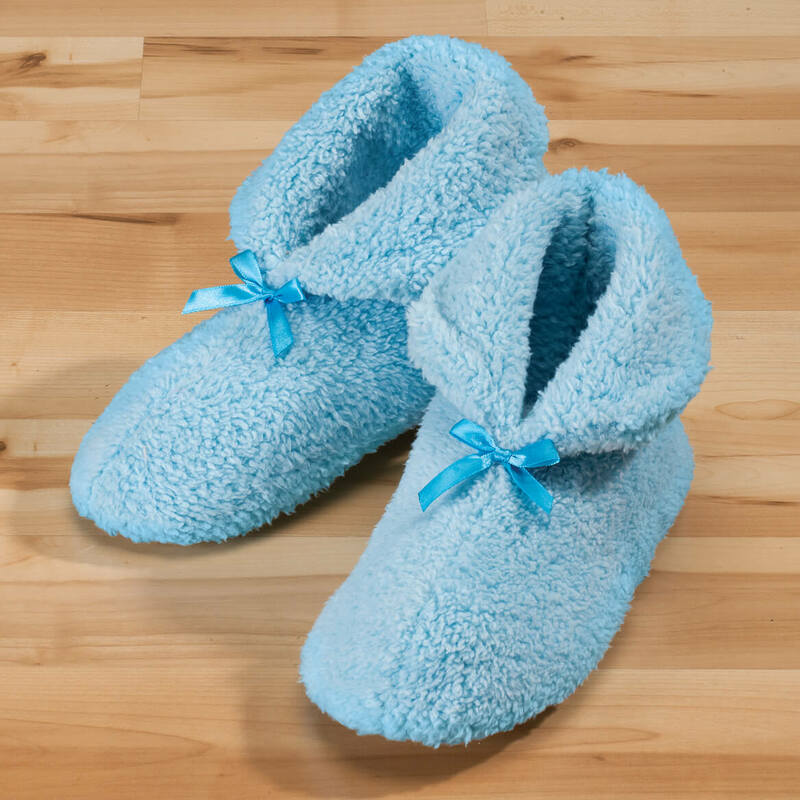 Other than that I am completely happy with my slippers and I would recommend them to anyone looking for a pair of comfy, warm and very soft slippers for themselves or as a gift. These slippers are pretty and comfortable and true to size. They match my bed jacket. because they are soft and comfortable. I needed new slippers and I like this style. I love these house slippers. They are very warm and comfy! They look comfy and warm. Ordered my mother a blue bed jacket for Christmas because she is always cold. 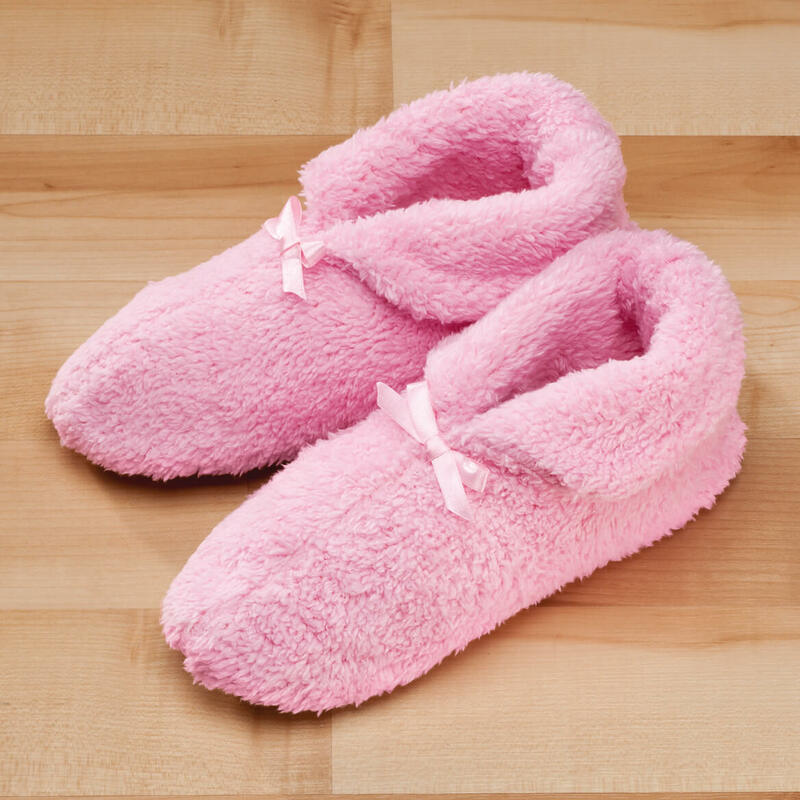 These slippers look warm and will match the bed jacket. 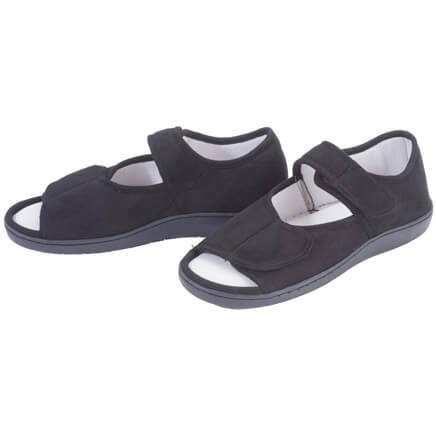 I have Neuopathy and I have to wear something on my feet and I need slippers, I like the three colors and I have a hard time finding some. Christmas presents for my husband's Great Aunt. I wanted slippers with high sides, to keep my ankles warm in cold weather months . They look so cozy and comfortable and I like the color. Soft and warm and comfy. Great colors. Looking forward to arrival of this product. I wear a size 12 and there are not many to choose from, and they look cozy and warm. I ordered these for my mom for her birthday. She has been wanting a pair for a long time but my brother/sister and I have not been able to find these type anywhere. Need them for my ankles. they are very warm for icy, cold feet. Had these previously. Finally something that fits someone with larger feet! My mom's favorite house shoe. Goes through two pair each winter. Mom loves these. Soft, comfortable and washable. I have purchased this product several times. The fit is nice and they keep my feet warm. like the pair I already have. I've bought these slippers for a long time, always warm and comfy! Need for comfort at home. are the chenille slippers made in USA? BEST ANSWER: These slippers are made in China. The ones that I ordered had strange odor to them. Plus they are very flimsy. Feels like you are walking barefoot. I returned them. Buy a higher quality slipper somewhere else. I purchased my slippers in 2013,if they still have the same manufacturer it was made in china. I still wear them,they hold up well. Thank you for your question. The slippers are made in China. We hope this information will be of help to you. I gave the bedroom shoes as a gift and found that they were both two left shoes. Is it possible that I may be reimbursed for the shoes as they were not packaged correctly? What are med. And LG sizes in slippers? I wear a size 8 shoe. Will the medium in these slippers fit? BEST ANSWER: Thank you for your question. 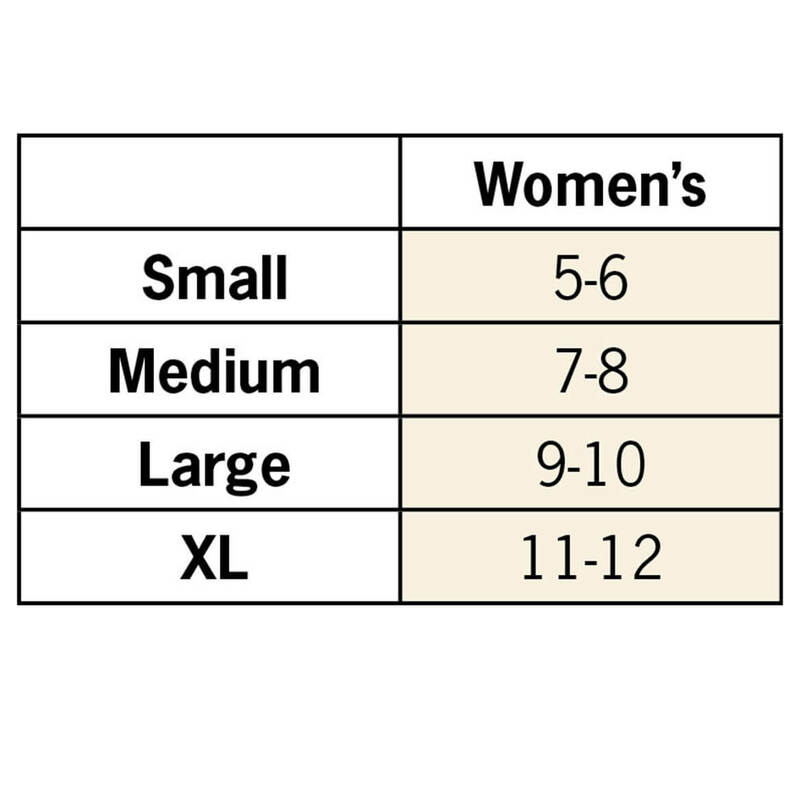 The sizes are Small fits women’s shoe sizes 5–6; Medium fits 7–8; Large fits 9–10; XL fits 11–12. We hope this information will be of help to you. In these slippers what size is large? BEST ANSWER: Thank you for your question. A large fits 9-10. We hope this information will be of help to you. The book shows if I buy 2 or more the price will be $9.99 each. The cart shows full price. What price will these slippers be when I order two? BEST ANSWER: Thank you for your question. Please enter the catalog source code during the checkout process to take advantage of the catalog sale prices or special offers. Please note, changing the source code will affect clearance pricing on the website.We hope this information will be of help to you.